Knowing the average household budget percentages for major categories can help you better determine your expense allocations, as you work on your budget. Of course, every household is different and percentages will vary by income level and family size. Yet, the following percentages can serve as helpful guidelines, particularly if this is the first time you are creating a budget for yourself. All percentages below are calculated on your net income, which reflects your take-home earnings after taxes, health insurance, and retirement contributions are paid. Housing: This will be the biggest chunk of your budget. Typically the cost of housing varies between 20 to 30 percent of your net earnings. The housing category includes your mortgage or rent, maintenance, tax and insurance. The amount can vary a great deal depending on where you live and the size of your home. Utilities: Typically, the amount to cover gas, electricity and water equates to about 10 percent of your earnings. This varies depending on the climate and the type of home in which you live. Food: The total you pay for food is around 15 percent of your net income. Typically, about two-thirds goes to paying grocery bills and the remaining balance covers the cost of eating out (and includes everything from fast food restaurants to fine-dining establishments). Transportation: The average household spends about 20 percent of earnings on transportation-related expenses. This includes paying car payments, gas, insurance, maintenance and other transportation costs. Typically, about half of transportation expenses go to vehicle loans, a quarter go to maintenance and insurance, and the rest for fuel. Of course, the percentage varies according to the number of vehicles you own, how far you drive each day and whether you make car payments or own your vehicle outright. Medical: Around 5 percent of net income is used to cover health and medical costs. This includes co-pays, deductibles and other costs not covered by health insurance. The allocation will vary depending on your health coverage, out-of-pocket costs, and medical condition. As a side note, take advantage of a flexible spending account if your employer offers one as an employee benefit. You will realize significant savings by having a specified amount of medical expenses deducted on a pre-tax basis. Clothes/Personal Care: Spending on clothing, sundries and personal care items typically totals approximately 5 percent of earnings. Entertainment: Activities including movies, bowling, concerts and other entertainment equate to around 5 percent of income. Other Debt Payments: Payments to cover credit card debt and other loans total about 10 percent of earnings. 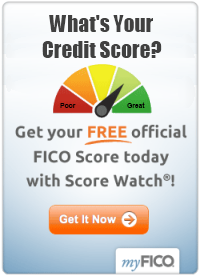 Of course, the amount of debt you carry will increase or decrease this percentage. Savings: If you add up the budget percentages listed above, they reach the 100 percent mark. So, does this mean there is not going to be anything left to save? No. These percentages are simply guidelines. They fluctuate based on numerous factors, which are noted above. To ensure you have a plan in place to grow your savings, plan for retirement and create an emergency fund, set a target monthly contribution that represents at least 10 to 15 percent of your net income. Then, adjust your budget percentages and spending to enable you to continually contribute to your savings accounts. 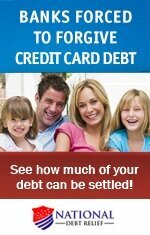 However, continue to aggressively pay down any debt you owe. To provide enough funds for savings, cut your expenses in discretionary areas such as entertainment, eating out, clothing and other related costs. The best way to get the right budgeting percentages for your household is to track your expenses for two months to see exactly how much you are spending. Armed with this information, draw up your own percentages that are more precise for your unique family situation. Once you have your household budget percentages, check them against your actual expenditures every month. Then make adjustments as necessary. For more information on budgeting, please see the article links below.